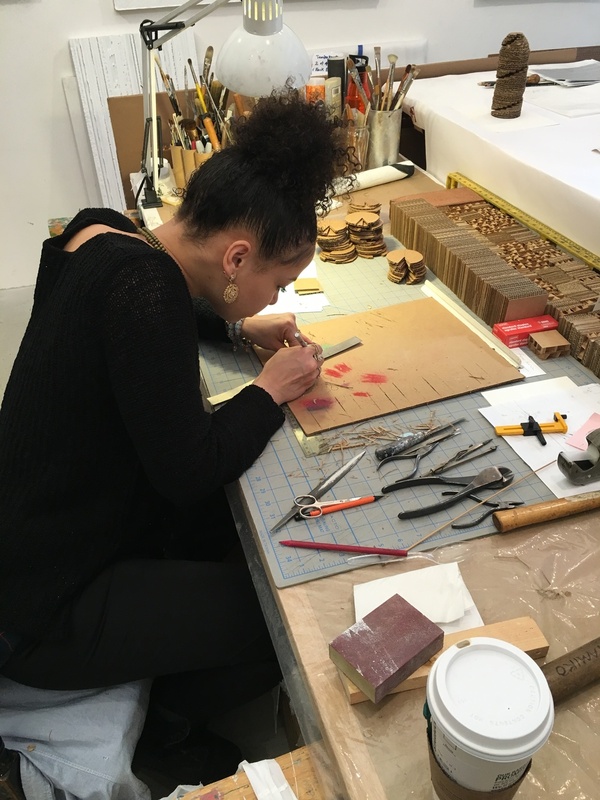 The EFA Studio Program offers a 15-week Internship for current, graduate and undergraduate students with interest in the Visual Arts. The internship is an opportunity to gain insight into the lives of working artists, as well as the intricacies of running a nonprofit organization. Primary tasks include, administrative work, artist assistantship, along with educational field trips and one on one time with a range of Arts Professionals. For our current Internship Open Call, please check our Opportunities page. Two things that I valued most at EFA is the relationship built with the artists and the administrative skills I practiced while responding to the various needs from the artists and taking the full initiative in managing the social media. It is also an eye-opening experience to take part in running the Open Studio event, New Membership Application, and themed exhibitions. I can’t be more satisfied with this internship which is in line with my passion in supporting artists and promoting their wonderful work. It was very different than what an art class would teach you. You get to interact with someone who has experience in the art world. They talk to you about everything from their styles of painting to their daily routines in life. Working at EFA Studios has been a wonderful experience. The Studio staff is extremely helpful and treats their interns very well. Bill and Natalia are so kind, passionate and genuinely care for their work, each other and the interns. Also, working with various artists has been the highlight of this internship. Overall I felt excited to have the opportunity to meet professional artists from such a large variety of backgrounds. My experience with the Elizabeth Foundation of the Arts has been insightful, inspiring, and above all, fun!